Traveling can be so exhausting for some people. Yes, it is full with excitement and lots of new experiences. But we can’t close our eyes that traveling can brings us to heaven or hell, mostly because what we will encounter are different with what normally we face back home. 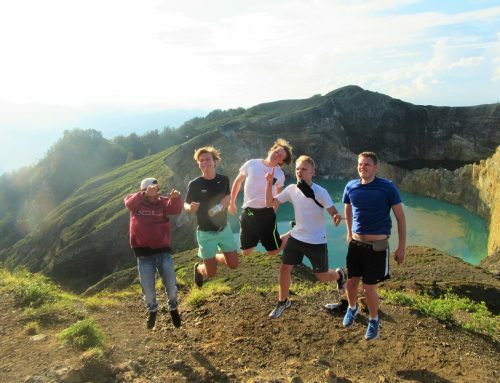 For 11 young people in our recent trip to Flores, what they see and experience in Indonesia are totally different from what they have at home. It can be a good challenge for them to know themselves more and broaden their mind that world is consist with different people that live in different cultures. 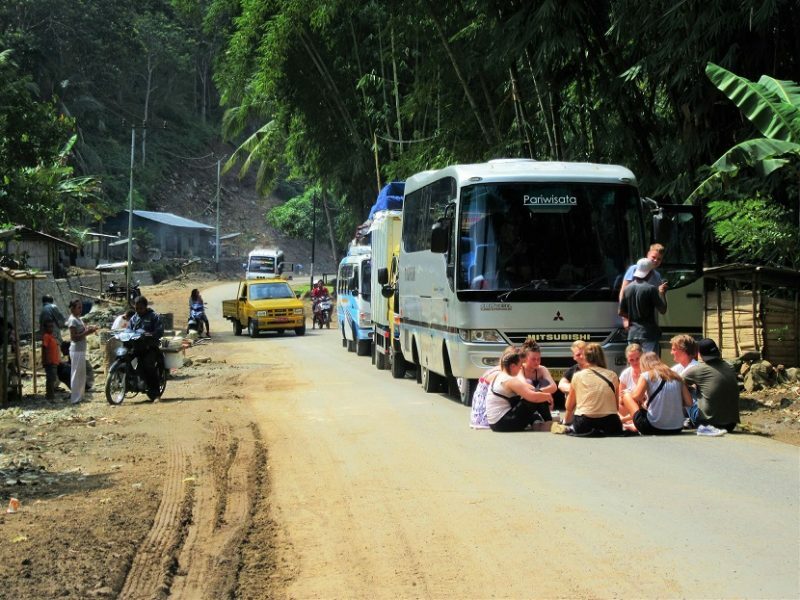 Another challenge to travel in Indonesia is about the bad infrastructure and public road system. It can make a long line of vehicles, stuck in one area. 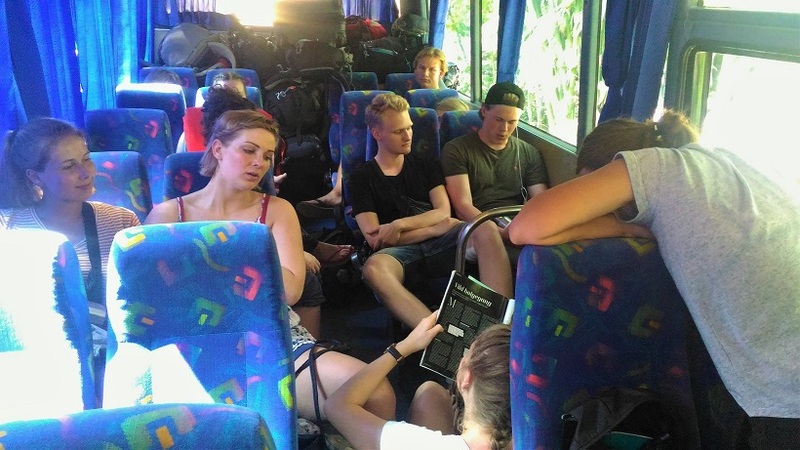 That’s what recently happened when we need to pass Kilometer 19 from Moni to Ende in Flores. The road was bad because of the fragile area of landslide so local government need to make a system where they only allow certain of vehicles passing the road from one side. We were stuck there for more than 1 hour. So they just enjoying themselves, including sleeping on the road. I said to the group that we are gonna stuck in this traffic jam for more than 1 hour, so they need to pamper themselves and enjoy the time. 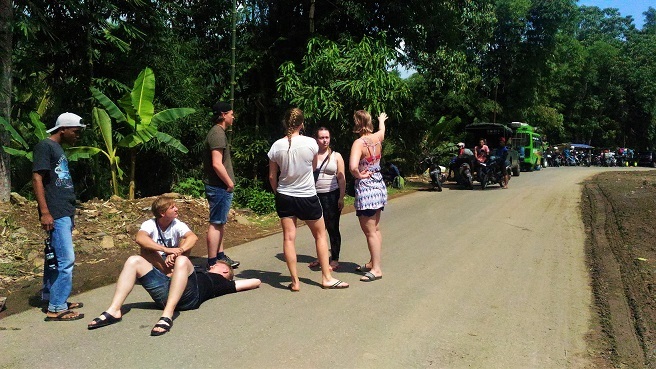 Surprisingly, without any complaint, they just sit on the road, yes, on the road, in the middle of strong sunny day and with so many local looking at them with their curiosity. 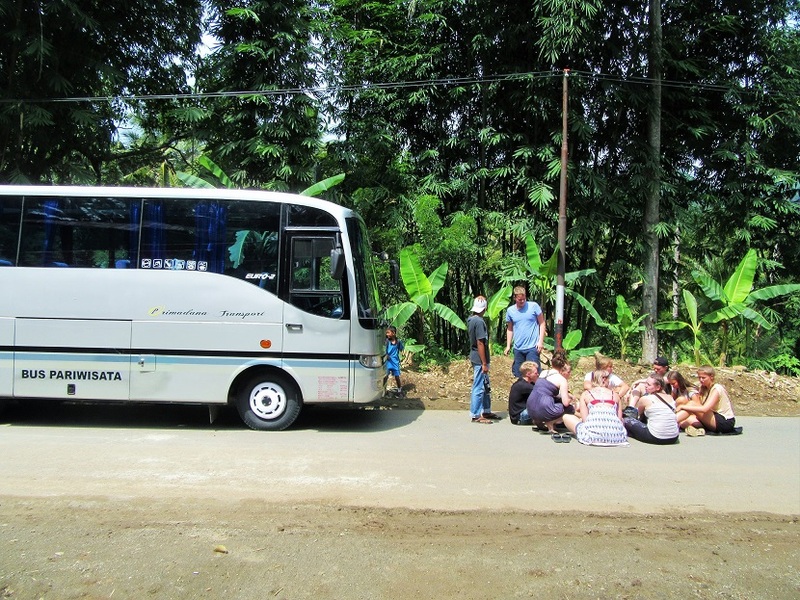 Malthe, one of the boy, suddenly laying down his back and treat the road as his comfy bed. Then some of them followed his behavior by sitting around him. Sofie came and bring a card, then they playing the card without care so much with heat and some local people who passing them and getting closer to them by standing near to this group circle. They played card and try to seize the moment!!! When it was almost the time for the local government to open the road, the group going back to the bus and they still find another way to kill the time and make this traffic seems like nothing. Sofie, one of the active and cheerful girl in the group, brought her magazine and read it aloud to the group. I tried to take a peek and it was talking about women things! Such as bikinis and thongs. Well, the boys were enjoying listen to Sofie and they all always smiling and giggling. There is always plenty of idea to enjoy the riding – the unexpected things that probably can happen while travel. This guys nailed it!! !